Place Nuts, Coconut, and Cacao Powder in food processor and pulse until nuts are chopped small. Add all other ingredients and blend until they form a sticky batter. Roll a Tablespoon of the mixture in your hands to form a small ball. 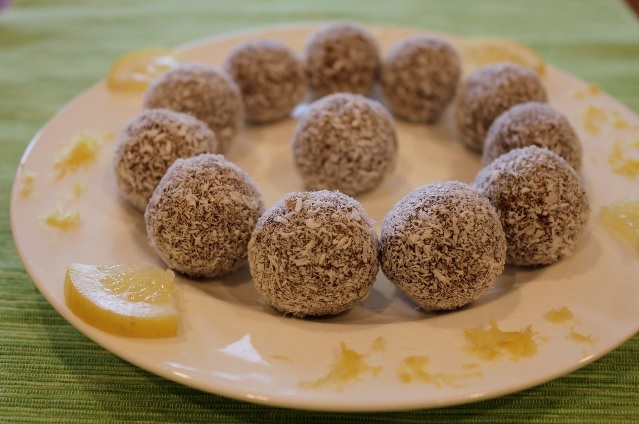 Roll Truffles in Shredded Coconut to finish. Refrigerate for at least 1 hour to harden before serving! Great as a frozen dessert as well and stores perfect in the freezer!